On November 14th and 15th 2017, the kick-off meeting of the YouthNest.crea Project took place in Vedra (Spain). Representatives of the partnership met at the Vedra Co-working and Training Center, located in Santa Cruz de Ribadulla. 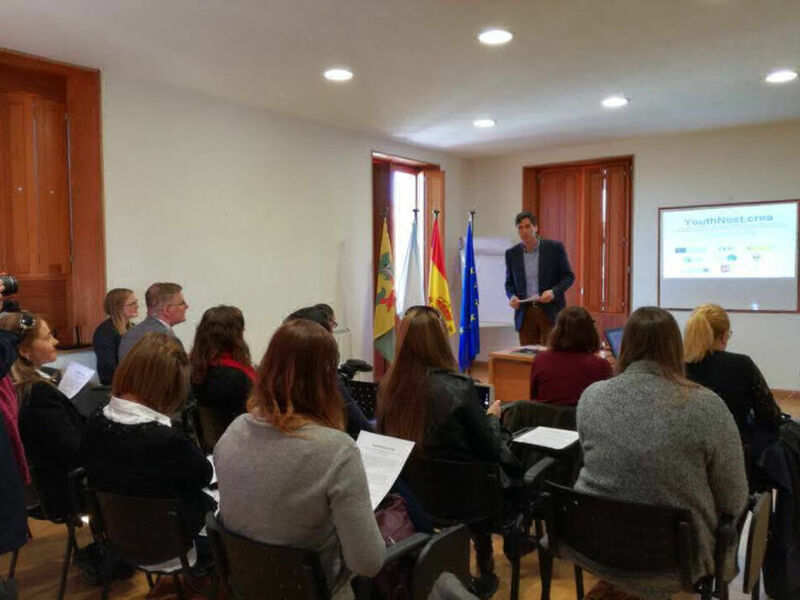 Enrique Vázquez, the Councilor in charge of Youth, Culture and Volunteering for the Municipality of Vedra, opened the meeting and welcomed the participants. After the formal welcome, each of the participants gave a brief speech introducing their organisations, the speakers were: Ms. Vanessa Crespo Souto (Concello de Vedra), Ms. Nynke de Jager (Stichting Business Development Friesland), Ms. Lia Micciché, (Comune di Capannori), Mr. Conor Patterson (Newry and Morne Co-operative Ltd), Ms. Lucia Marinicová (Obec Zemplinske Hamre) and Ms. Ana Paula Dias (Associação Juvenil de Deao). During the first day of the meeting the Municipality of Vedra (LP) presented the Work Plan (activities, budget and timetable) the partners then discussed various aspects related to the co-ordination of the project as well as the design and creation of the transnational incubator. In the afternoon, the participants accompanied by the municipal architect, visited anew co-working space project located within a train carriage. During the second day of the meeting the legal and financial elements of the project were discussed and the work schedule was completed. The project was then formally launched, with local media attending, in the presence of the Mayor of the Municipality of Vedra, Mr. Carlos Martínez Carrillo. On May 9th and 10th 2018, the second transnational meeting of the YouthNest.crea project took place in Capannori (Italy). Representatives from all of the partnership organisations met at the Artemisia Cultural Centre. The meeting participants were: Ms. Vanessa Crespo Souto (Concello de Vedra), Mr. Lennard Drogendijk (Stichting Business Development Friesland), Ms. Lia Micciché, Mr. Alessandro Pensa, and Mr. Nicola Rosellini (Comune di Capannori), Mr. Conor Patterson and Mr. Colin Hanna (Newry and Morne Co-operative Ltd), Ms. Lucia Marinicová (Obec Zemplinske Hamre) and Ms. Ana Paula Dias and Ms. Sara Freire (Associação Juvenil de Deao). 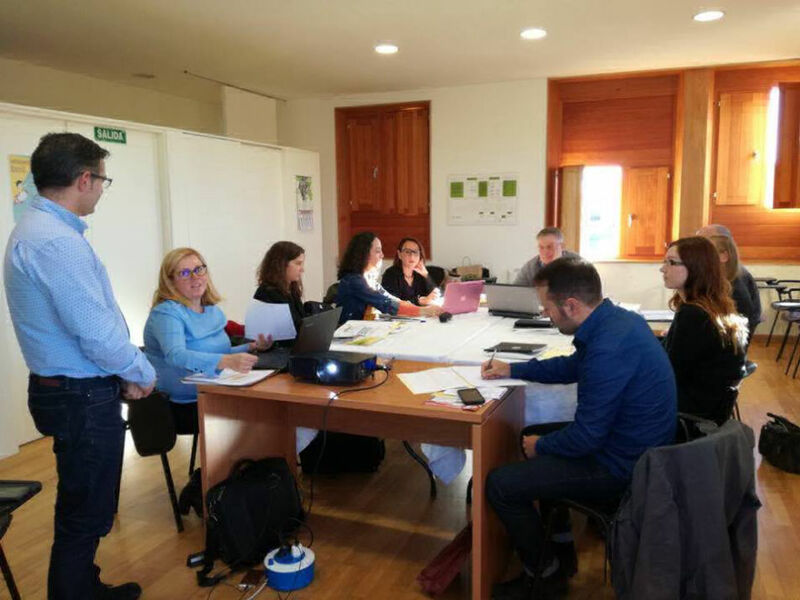 During the first day of the meeting the Municipality of Vedra(LP) led a review of the Work Plan (activities, budget and timetable), the partners then agreed on the final structure of some elements related to the co-ordination of the project. 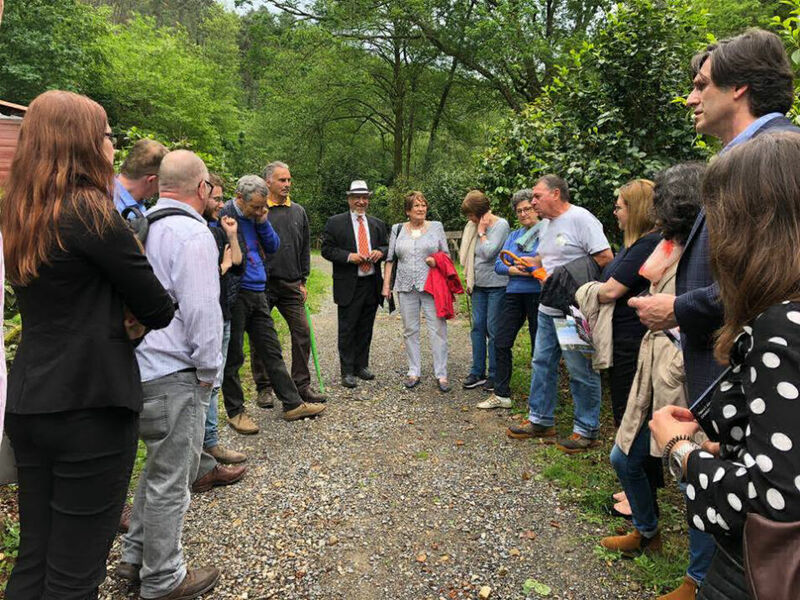 In the afternoon the participants accompanied by local guides visited the Camelietum in Sant’Andrea di Compito, where the Mayor of Capannori, Mr. Luca Menesini, and the Mayor of Vedra, Mr. Carlos Martínez Carrillo, planted new camellia trees to celebrate the partnership between the two municipalities. The participants then visited a local organic farm; they later joined the Europe Day celebrations at the Artemisia Cultural Centre. 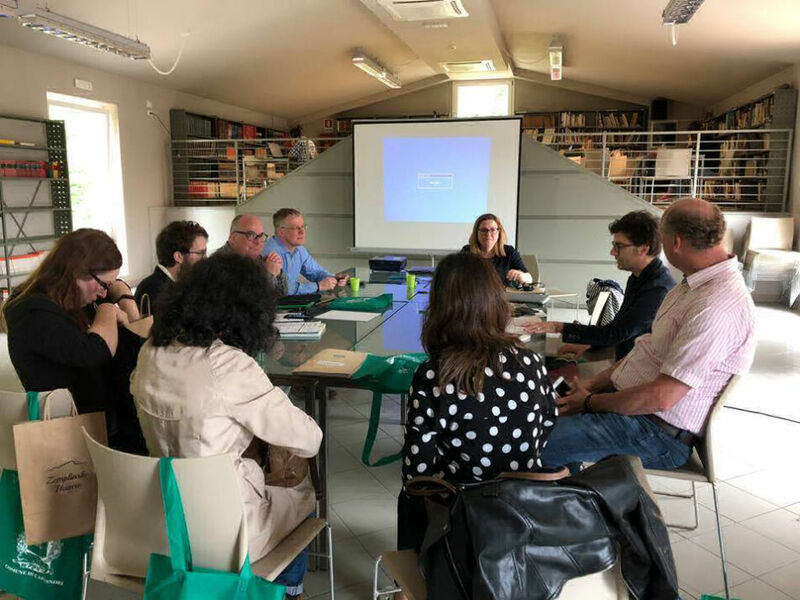 On the second day of the meeting, the participants met at the Polo Tecnologico in Segromigno, an incubator and research centre which the Comune di Capannori set up and has supported for several years. The mobility element of the project was thoroughly discussed, with active contributions from all partners. During the meeting the participants had the opportunity to meet some local entrepreneurs as well as winners of a call for ideas in the field of youth entrepreneurship and the circular economy organised by the Comune di Capannori.